Just as a child needs a wholesome diet from birth through adolescence to insure healthy growth and development, a beginning piano student requires the equivalent in musical nourishment. Cocoa Puff pieces that squeeze out whole grain servings of the classics will not in the long term cut the cake. 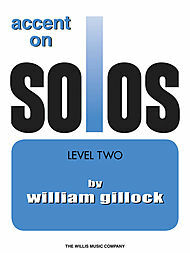 (And I don’t rule out compositions by William Gillock that include, “Argentina,” “Stars for a Summer Night,” “Little Flower Girl of Paris,”) as well as Samuel Maykapar’s “In the Garden,” a particular favorite. Starting a piano student at age 6 or 7, requires a thoughtful menu of goals. As I define them, they would include teaching a physical relationship to the instrument and how to produce a singing tone. 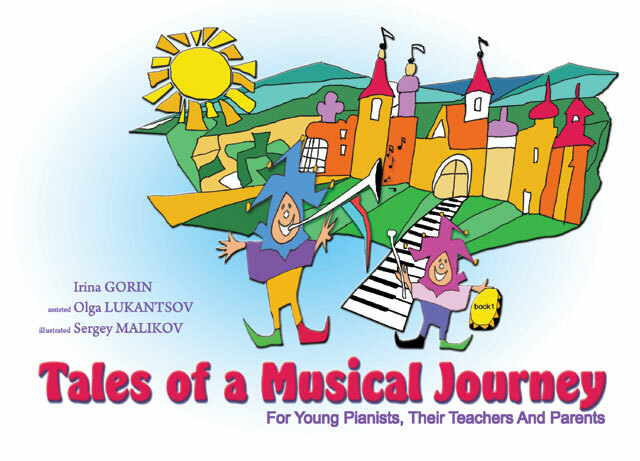 If these sound like they’re lifted from Irina Gorin’s Tales of a Musical Journey, then you’re correct. Ideally, musical symbols and notation should flow into a course of study, though some teachers may postpone these based on age considerations. Proponents of the Suzuki method set aside note reading for years at a time, copying the model of language assimilation–where a child doesn’t read or write for the first few years of life but instead, is taught by imitation through parental interactions. Gorin spends a good amount of time dwelling on the physical dimension of playing, using prerecorded music of high caliber as children tap individual notes to Russian themes from the classical literature as well as folk music sources. I tend to favor a mixture of more than one teaching philosophy, though I can’t embrace Suzuki’s ultra-long tabling of music reading. If I enlist a more traditional method book approach, I will modify it to suit the needs of individual students. In the same vein, if I draw upon Irina Gorin’s material, I might tailor it to include earlier exposure to notational symbols–one example is where I insert a flat to flesh out the minor mode, sooner than expected. 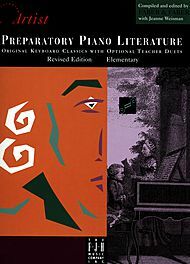 But above and beyond contrasts in teaching styles and choice of materials that might be of Major or minor proportion (pun intended) I insist on giving my students a serving of good music at the very beginning of piano study. Sometimes, a parent will try to upset the apple cart, and egg me on to substitute the pop stuff for classical. In this lobbying effort, a pitch for pop might please the dad or mom, but it runs counter to what’s in the best interests of the child. The basic building-blocks come first with no room for the musical equivalent of a junk food filled menu. Under the heading of a nourishing learning program comes intertwined technique advancement. The student will play Major and companion (parallel minor) ascending and descending, step-wise progressions in “Walking and Running” sequence and he’ll engage his whole arm and supple wrist in the process. Arc-like motions are likewise encouraged to realize faster note values. In the video examples below, I first demonstrate the technical routine myself, followed by a second bit of footage that showcases an 8-year old student warming up in the same way. Contents: Allegretto (Köhler) • Ancient Dance (Praetorious) • Circle Dance (Beyer) • Country Ride (Köhler) • Echoes (Köhler) • Five-Note Sonatina (Bolck) • The Hero’s March (Vogel) • In an Old Castle (Beyer) • Little March (Turk) • Melody (Beyer) • Ponies (Low) • Sonatina (Wilton). Faber’s choice of pieces in this particular collection is admirable though I always hunt down supplements from other sources. These might include the Toronto Conservatory Celebration series, or individual albums of Kabalevsky’s music such as the Op. 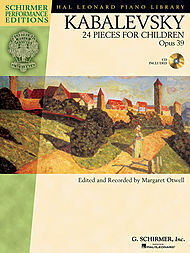 39 Children’s Pieces. “Joke,” “Melody,” and “Funny Event,” for example, are first and second-year appropriate repertoire choices that have musical substance while advancing technique. For the most part, I tend to steer clear of musical cliches, harmonic formulas, and insipid arrangements. In summary, the formative years of piano study require substantial musical nourishment. Imbuing the singing tone, teaching the physical means to achieve it, and selecting quality pieces for students, are ingredients that support a solid musical foundation. An extra treat: Ilyana, 8, practices “Argentina” by Gillock, a favorite composer. Previous postWhen is Superbowl Sunday? I better find out before it’s too late.